Wilhelm Lehmbruck (1881-1919) is one of the most important German sculptors of the twentieth century. His oeuvre comprises approximately one hundred sculptures, more than a thousand drawings, eighty paintings and large-scale drawings and some two hundred prints. This versatility and the artist’s willingness to experiment with different techniques and materials are characteristic of the generation of the Expressionists. 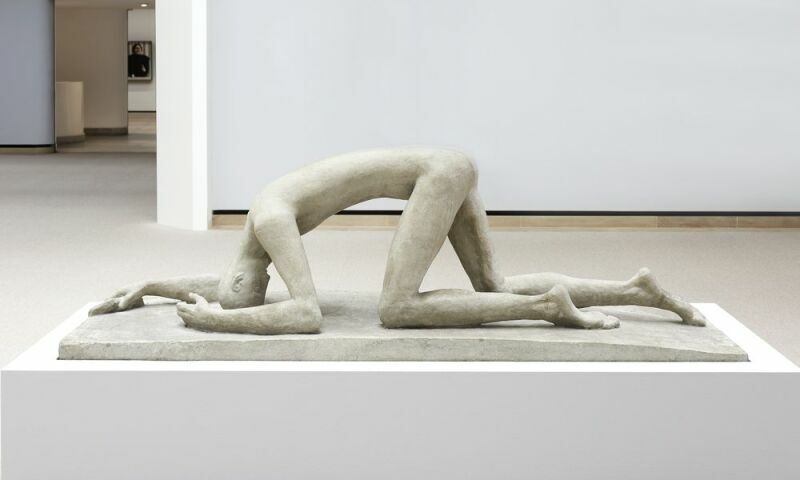 Drawing on the Staatsgalerie’s extensive holdings of the artist’s work, the exhibition sheds light on Lehmbruck’s creative practice and show variants of his important sculptures such as the Pensive Woman, the Ascending Youth, the Large Standing Woman or the Kneeling Woman. Lehmbruck was one of the first German sculptors to look beyond the traditional materials of bronze and marble and to use innovative materials such as terracotta, cast stone, cement and stucco. Whether this different materiality within the body of his sculptural oeuvre was the result of a conscious aesthetic choice or simply owed to the concomitant lower production cost is one of the big questions that Lehmbruck scholars have long struggled to answer.